Is a complete ban on wildlife tourism in core areas justified? The hon'ble Supreme Court in its order dated 24 July 2012 has put a stop on all tourism activities in the core zones of the tiger reserves in India. The SC will hold the final hearing in this case on 22 August 2012 wherein the final outcome of this case will be clear. While in principle, we all agree that wildlife tourism in India needs to be controlled and strictly regulated, placing a complete ban on any kind of tourism activities in the core areas will certainly not help the wildlife of the tiger reserves. The Wildlife (Protection) Act, 1972 (WLPA), as amended in 2006, specifies that the core zones or ‘critical tiger / wildlife habitats’ must be inviolate for a sustainable population of tigers in tiger reserves. The guidelines were circulated by the NTCA in November 2011. Having inviolate habitat for tigers (and other wildlife species) is an ‘ideal’ situation for conservation; it is unfair to blame only the tourism sector for the depletion of tigers in India, as is the basis and assumption for this petition. Tigers in Sariska and Panna were wiped out completely. Were the tourists responsible for this debacle? Obviously not. The tigers were killed by poachers. 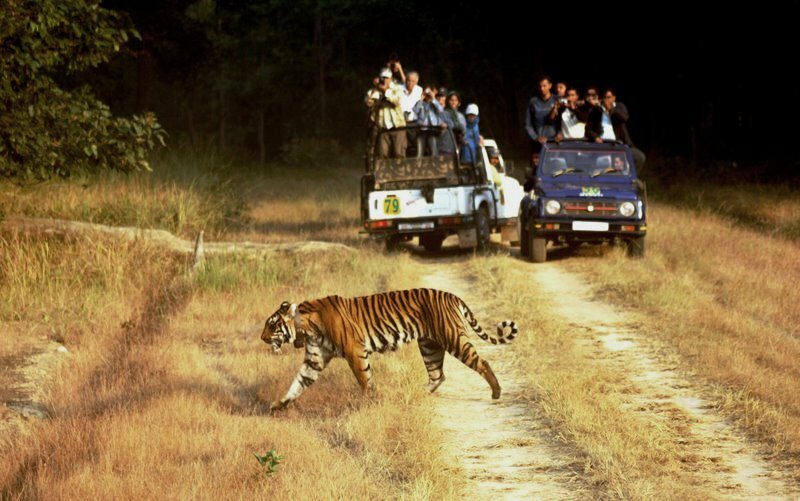 If having no tourism in core areas was good for wildlife, the tigers reserves like Buxa (in West Bengal) and Palamou (in Jharkhand), where wildlife tourism has been almost non-existent, should have been the models of sustainable tiger populations since 1973 when the Project Tiger was launched in India. However, the situation is otherwise. As per the tiger census data of 2010 released by the Ministry of Environment and Forests, the tiger population in Buxa (and Manas together) is 9+ in 1349 sq km and in Palamou it is between 6-13 in 1116 sq km. Why didn’t the tiger numbers rise in all these years? There are sufficient scientific evidences to prove that tigers if offered decent protection with good habitat and sufficient prey base can thrive well. The fact that these areas failed to show good tiger numbers could be a pointer on the mismanagement of these tiger reserves and perhaps a greater threat to the tiger populations here due to poaching. In contrast, the tiger reserves like Kanha, Bandhavgarh, Bandipur, Ranthambhor and Corbett, which are popular destinations for wildlife tourism, have shown stable or increase in tiger populations in 2010, as compared to the previous census data of 2006. In May 2012, the country was shocked by a series of killings of tigers outside the Tadoba-Andhari Tiger Reserve in Maharashtra by poachers. The poachers chose to trap the unfortunate tigers outside (or the so-called buffer zones) of the tiger reserve. It must be noted here that Tadoba is yet another popular wildlife tourism destination. The regular movement of tourists inside the reserve obviously keeps the poachers away from these areas. When the tigers are not safe in a popular tiger reserve like Tadoba, one can’t even imagine the fate of tigers in the reserve forest areas and corridors that are good tiger habitats but do not have the status of tiger reserve or national park or wildlife sanctuary. As there is no attempt to estimate the tiger numbers in such areas, the loss of tigers simply goes unnoticed. The NTCA should be worried about these areas and take immediate steps to protect these tiger populations. Wildlife tourism in India is a developing sector. Lakhs of tourists, from India and abroad, visit the tiger reserves just to catch a glimpse of our national animal. Corbett Tiger Reserve alone has over two lakh tourists annually. To cater to these tourists, tourist infrastructure is developed around these tiger reserves. Thousands of local and forest-dependent communities have been employed or have benefited directly or indirectly due to wildlife tourism. The locals are employed as nature guides, naturalists and resort staff, engaged as daily wage labourers, plumbers, garage workers, drivers, safari vehicle owners, providers of vegetables & poultry products, contractors, tribal artists, etc. The lives of all these stake-holders have been strongly linked to and dependent on wildlife tourism of the tiger reserves. A complete ban on tourism in core areas will seriously affect the well being of these stake-holders. Antagonizing the locals might spell a doom for the wildlife in the area. There are enough examples of displaced or disgruntled people directly or indirectly responsible for killing wildlife and destroying habitat out of vengeance. Since the last few weeks, Naxal movements have been seen in the buffer zone of Kanha Tiger Reserve around Mukki area. Most of the forest chowkies (posts) in these areas have been deserted by the forest department staff due to the fear of Naxalites! Having no tourist movement in the park will only help the Naxalites. Worse, there is always the fear of more jobless people getting pulled in Naxalism in the Naxal-affected regions. The NTCA, through its revised guidelines circulated in November 2011, recommends establishing tiger safaris and other awareness infrastructure in the buffer zones of tiger reserves. Till date several States like Jharkhand, Rajasthan, Andhra Pradesh, Arunachal Pradesh, Uttar Pradesh, Tamil Nadu, Bihar, Karnataka and Maharashtra have failed to yet delineate core and buffer zones in tiger reserves. The hon’ble Supreme Court expressed its displeasure over this and slapped a fine of Rs.10,000 on each State for failing to respond to its previous notice within a stipulated time period. If the NTCA is so much concerned about the core zones or critical wildlife habitats, why did it not pressurize the tiger reserves to notify such an important area? In the last two decades, the infrastructure for tourism has developed around the tiger reserves on a large-scale. Hundreds of resorts have been permitted to construct and operate their properties without any guidelines or restrictions; in some places to the extent of blocking vital wildlife corridors. While this is of grave concern, what was the MoEF doing all these years when this infrastructure was being created and threats pointed out by experts in several forums in the past? Which government department allowed this development? This privately owned tourist infrastructure is developed outside the boundaries of the tiger reserves. But what about the tourism infrastructure owned and operated by the forest department inside the critical tiger habitat? Few notable examples being Dhikala Tourism Complex inside Corbett Tiger Reserve, The ITDC Forest Lodge inside the Keoladeo National Park at Bharatpur, MPTDC Bagheera Loghuts in Kanha Tiger Reserve and the KTDC with Aranya Niwas and The Lake Palace inside Periyar Tiger Reserve. A striking example is Jhirna Forest Rest House in Corbett that has been converted into a canteen for tourists. The canteen, the operation of which is outsourced by the forest department to a private entity, serves snacks in non-biodegradable packaging, there are no sufficient waste bins, and non-biodegradable trash is littered everywhere. One can see so many rhesus macaques and common langurs feeding on these leftovers and at times attacking tourists. The story is not much different in case of Kanha and Bandhavgarh tiger reserves. Exercising strict rules is certainly in the hands of the forest department but was never followed within the forests they governed and managed despite several complaints by well meaning tourists and conservationists. The eco-tourism guidelines propose to allow only 10-15% of the area of a PA for tourism. The guidelines also say that ecotourism will only be conducted in buffer areas instead of in core zones. As everyone knows, buffer areas in most PAs do not have a high density of wild animals and therefore the possibility of sighting wildlife is less. The WLPA permits grazing by cattle and collection of minor forest products in the buffer zones of tiger reserves. One can see huge herds of domestic cattle in buffer zones of many tiger reserves including the high profile Corbett, Kanha, Bandhavgarh and Ranthambhor tiger reserves. If the buffer zones are to be developed or utilised for tourism, does it have any back up plan to ban or control cattle grazing in buffer zones as they compete with herbivores for the same habitat? There could be many more such contradicting examples of lack of coordination, planning and proper management of tiger reserves between various government departments in the interest of wildlife conservation. The entire system has failed to enforce the existing laws and ensure conservation of tigers and other flagship species and their critical wildlife habitat. Banning tourism in core areas is certainly not a remedy to this mismanagement. Wildlife tourism cannot be singled out and blamed for all this mess created by the system. Instead of this blame game, the NTCA should engage in a serious dialogue with all concerned stake-holders and come at a viable and sustainable solution to sort the issue. ‘Controlled Wildlife Tourism’ is the key to this problem. Instead of a complete ban, wildlife tourism in an extremely controlled form should be permitted in some parts of the core areas. The infrastructure here should be bare minimum with no luxuries whatsoever but with clean facilities. The power generation should be only solar or biomass based, water should be harvested rainwater, strictly no use of polythene bags, battery-operated vehicles for safaris with a controlled speed limit should be used. Certain areas of buffer zones should be demarcated as wildlife tourism areas, where no cattle grazing and other forms of human disturbances to be allowed. Only then the resident wildlife will use these areas as habitat and the tourists will get the feel of being in a forest that is as good as a core area. Setting up of wildlife information / interpretation centres constructed on the principles of ‘green buildings’ should be encouraged and designed in such a way that every tourist have to visit these before entering the tiger reserves. Canteen facilities in the buffer zones should be strictly given only to the Self Help Groups formed by the local tribes and communities. NGOs should be involved in training these SHGs to run these facilities. Nature trails, photography hides, watch towers should be developed for providing good and educational wildlife experiences to tourists. The concept of Home Stays should be encouraged in the buffer zones. All resorts must take care of at least 40% of their energy requirements through non-renewable sources like solar energy and biomass-based energy. Harvesting of rainwater and ground water recharge should be made compulsory with restrictions on drawing of ground water for use in resorts. Strictly no form of loud music should be allowed in the resorts, except in sound-proof rooms. Composting of kitchen and organic waste should be compulsory for every resort. Inorganic and non-biodegradable waste to be disposed off at least 5 km away from the buffer zone of the tiger reserve. A system should be developed for collection and dumping of this waste with the involvement of local gram panchayats or municipalities at an identified location that could be an old abandoned quarry or any other wasteland. Wildlife tourism is an important tool that should be properly utilized for spreading awareness about tigers and other wildlife species among the people of India and the world. Watching of wildlife films on National geographic, Animal Planet and Discovery channels cannot be a substitute for actually seeing a tiger in the wild. The experience of sighting a tiger in its natural environment has changed many lives. Had many of our wildlife researchers, conservationists, environmentalists, park managers not seen a tiger in the wild or had no access to our tiger reserves, would they have been the same persons they are today? The wildlife has to be experienced to have a feeling for it. This passion and concern for wildlife cannot be obtained or developed by just watching films, however good they are. The whole world is looking forward to the final judgement of the hon’ble Supreme Court of India on 22nd August. This judgement will have far-reaching consequences on the future of tigers and the tiger conservation movement of India. We can only hope that the judgement proves to be a win-win situation for all. i think that it is big risk to leave our tigers on Indian forest officers. In 2005, Sariska was totally finished by poachers & our forest officers were sleeping all the time. Is Dhikala now considered a core zone? Please clarify? You have summarized the issues in detail. I agree with you. I can not understand how the decline of the tiger population is connected to the tourism? In reality Poaching is the biggest threat which had to be dealt severely. Its sad that the MoEF instead of emphasizing on strict wildlife laws towards poaching and increasing the protection is blaming the tourism for the loss of the tigers. Tiger tourism or wildlife tourism in India. India is home for the tiger,The big majestic cats are symbols of power, freedom and sheer beauty. As we turn the pages of history we learn about a lot of animal and human conflict from tiger's being hunted by the royalty for their honor and prestige to the the local folk killing the big cats to save their livelihood. India still after a lot of destruction by human behavior holds ground for the tiger. Though plenty of green corridors across states and boundaries through out the country the big cat population has shrunken to fractions and the count is falling by the day. Tiger reserves across the country have messy calculations with some reserves admitting the failure of saving the tiger. Initiatives taken by the government of India to protect the tiger have fallen to the deaf ear. Rules are made by the ministry which struggles a bit and then looses hope. Tribal hamlets have been in the reserves since centuries, their generations have passed and ended in the wilderness. Knowing the pulse of the jungles from animal behavioral patterns to the good and bad of what mother nature has to offer. These tribes have blended with the eco - system and nature patterns. Though the government has created many benefits for their well being , not many benefits have reached them and hence they are left with not many options but to fall in the line of poachers and wood smugglers,helping them out for a share of quick money. The forest rangers and guards know the animal behavior and their movement patterns, they have marked the animal movement corridors but are struggling with encroachment around the reserves and into the animal movement corridor. These encroachments often happen when land is allotted to the tribals from shifting them to outer areas or be villagers as their farm lands by local political support. Local politics or state politics have in some way played an indirect role in disturbing the eco-balance either by leasing land for mining or by construction of dams. The cat and mouse chase between the forest department and the tribal folk continues as the the tribes viewing them as someone who would relocate them from where they have lived for centuries and the department tightening them from all the illegal activities they do or support. Debates across the country for saving the tiger, discussions held in the ministry by ministers who have power of the seat than knowledge of the wild is doing no good to the big cat or any benefit on ground. Need of the hour is to promote quality eco -tourism ,promoting eco-lodges around the reserves would act as awareness institutions and create major employment for the tribals . It would make the urban population understand the negative impact of urbanization and teach them the sustainability of eco friendly earth materials. These eco-friendly resorts would act as a catalyst between the forest departments and the tribes making work in the reserves more like a link and chain. The benefit of direct employment to the tribal folk at the resort such as guides and staff would help the resorts to learn from their centuries old experience of animal behavior and highlight it more to spread more awareness across the country and the employment of tribes would help them not to fall in the line of illegal poachers and wood smugglers. Relocating them will not be necessary as they would act as self sufficient guards who would guard the reserves for their own bread and butter. Forming a link between the forest department, local tribal folk and the eco -tourist resorts would be the only solution to save the tiger. Eco-tourism has to be promoted and picnic tourism has to be banned in the reserves. Tribals, forest departments and the eco friendly resorts have to be linked for a joint effort. Unless the ministry does this I don't see India saving the Tiger anymore. India has been a wonderful land of royal people and majestic history. And Tourism in India defines it easily and extensively. hi..... amazing blog.Its summer and a great time to be in the Mudumalai.I would recommend the resort to everyone.If you have any specific information about resort you can check Mudumalai Luxury Wildlife Resorts. Hii...Informative post.Thanks for sharing with us.I liked the way you put up the information.I am panning to visit br hills resort and also bandipur resorts this weekend with my family. because their facilites,sevices offered at low cost,Wildlife Safari really really awesome..
Wildlife Tourism in India is a huge point of attraction for you visiting Asia. Thus, stop by most renowned locations in the condition as well as help make your Rajasthan trip a very long time exhilarating expertise. The entire system has failed to enforce the existing laws and ensure conservation of tigers and other flagship species and their critical wildlife habitat. Good post. A large number of tourists turn up every year at this National Park to experience the abundance of mother nature. Open jeep safaris and the walk along the forest pathways is an enthralling experience. However, keep in mind that the park is open only from November to June. Check all best hotels in Corbett also. Golden triangle tour is one of the best tour package provide nice experience. 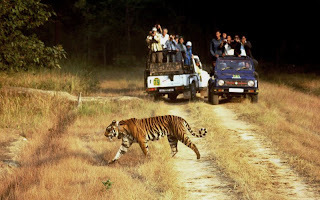 Bandhavgarh tour packages are best tour option provide the fantastic tour option. It provide the best information. yes,Bandhavgarh is very suitable for wildlife tour..
Searching for best resorts near Karjat, Khopoli? Then Monteria is the best resort where the luxury meets adventure. This article is really good. its provide full information about Jaipur Tour Package. thanks for share this blog. if you want to go for a trip of rajasthan. please contact us.